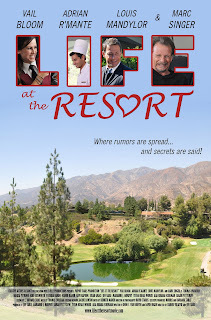 DAILY FILM FORUM: MOVIE SPOTLIGHT - "LIFE AT THE RESORT"
The Creative Actors Alliance in association with Z-Ville Productions is proud to announce the World Premier of their Feature Film “Life At The Resort”. The film will screen as part of the New York International Film Festival on November 21st at 10pm. 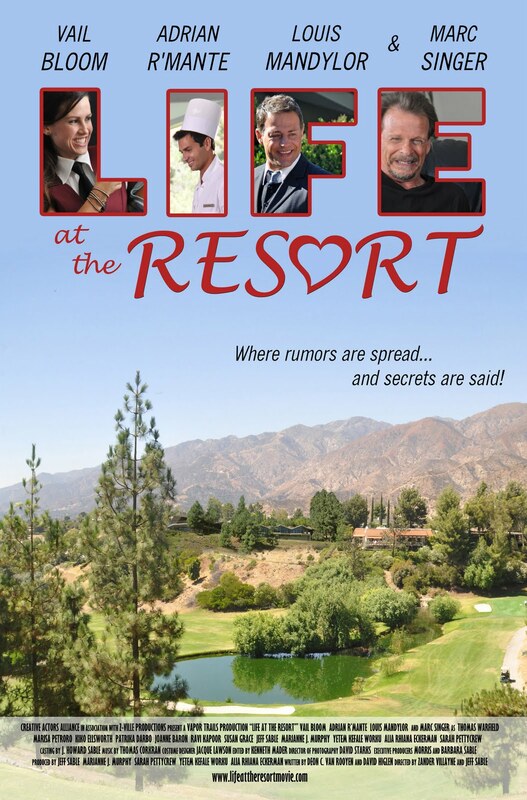 Life at the Resort was co-directed by first-time directing team Jeff Sable and Zander Villayne and produced by the Creative Actors Alliance in association with Z-Ville Productions. This funny, romantic comedy was written by Deon C. van Rooyen and David Higlen and stars: Vail Bloom (The Young and the Restless), Adrian R’Mante (The Suite Life of Zach and Cody), Louis Mandylor (My Big Fat Greek Wedding) and Marc Singer (The Beastmaster). Life at the Resort: Where rumors are spread and secrets are said. There is more than hospitality happening at this famous Five Star Resort. In just one day the problems and plots of guests and staff unfold. From the failing romances to shocking rumors and revelations within the hotel staff, the colorful cast of characters play out their love triangles and intrigues while patrons dine, plots thicken, mistresses’ fume, fortunes fail and blackmail schemes go bust. The roller coaster of surprises at this resort gives us an entertaining emotional ride filled with laughter, tears and love. This is the first feature film produced by the Creative Actors Alliance, a production company comprised of actors creating their own professional projects to showcase the talents of its members. In addition to producing content, they host events, acting classes and continue to help others achieve their creative goals. For Life at the Resort, the producers decided to collaborate with former Board Member Zander Villayne and Z-Ville Productions, a full service film and music production company designed for the independent filmmaker.